The U.S. Department of Justice’s recently revealed plan to investigate and sue colleges that wrongly use race in college admissions is a scare tactic meant to dissuade colleges from using race as one of many factors, as permitted by the U.S. Supreme Court. That is the collective take of several scholars and advocates who reacted to a story of the Justice Department’s purported plans broken by The New York Times late Tuesday. 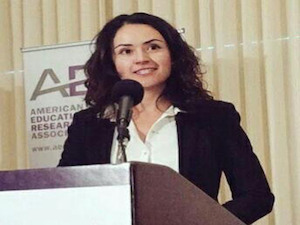 “It’s an intimidation strategy that seeks to bypass what the Supreme Court has already ruled on and turns enforcement of equal protection on its head because it makes just thinking about race, or acknowledging that racial inequities exist, the same as racial discrimination,” said Dr. Liliana Garces, assistant professor of education at the University of Texas School of Law and an expert on equity and access in higher education. “The message is to intimidate and prevent institutions from continuing to follow what the Supreme Court has already endorsed as constitutionally permissible for institutions to further their educational mission,” Garces said in an e-mail to Diverse. Garces was referring to the 2016 case — generally known as Fisher II — in which the U.S. Supreme Court upheld the use of race in college admissions as long as it’s a small part of a holistic process. “Moreover, it sends a clear signal that the administration is less interested in solving long-standing issues related to equity in and access to higher education, and more interested in scoring political points on an issue the Supreme Court decided only 13 months ago,” Hawkins said in an e-mail to Diverse. “As always, we urge colleges and universities to meticulously research and document their consideration of the full array of policies at their disposal to achieve their compelling interest in assembling a diverse student body,” Hawkins said. Neal McCluskey, director of the Center for Educational Freedom at Cato, a libertarian think tank, said if the goal of the DOJ is to go after public colleges where there is overwhelming evidence of the use of race in in a manner that transcends a “holistic fashion,” then it’s a simple matter of enforcing the law. Wil Del Pilar, vice president of higher education policy and practice at The Education Trust, a national nonprofit that advocates on behalf of low-income students and students of color, said the data do not even support the notion that there are colleges and universities that need to be investigated for using race as a factor. “When we look at the data, the data just don’t show that white students are being disadvantaged in admissions, especially at selective institutions across the United States,” Del Pilar said in a phone interview with Diverse. Del Pilar noted that 33 percent of African American and 45 percent of Hispanic students start out their postsecondary careers at community colleges, where there is no selection criteria. He said 50 percent of African American and 53 percent of Latino students attend institutions with no or very low selection criteria. And at selective institutions and public flagships — such as the University of Michigan or UCLA — “we only see 5.2 percent of their enrollment is Black and 8.9 percent is Latino,” even though African Americans and Latinos represent 13.3 and 17.6 percent of the overall population, according to the U.S. Census. At institutions that belong to the Association of American Colleges — an organization of elite institutions of higher education — the numbers are even lower: 4.7 percent Black and 11 percent Hispanic, Del Pilar said. “For the moment this is basically a politically motivated effort to throw sand in the gears and frighten colleges to end something the huge majority of selective universities believe to be a basic educational need,” Orfield said in a statement sent to Diverse. The U.S. Education Department did not respond to a request for comment. Peter McDonough, vice president and general counsel at the American Council on Education, said outside of The New York Times report, he has seen no information about the purported DOJ initiative in the area of race-conscious college admissions, although he said he planned to monitor the situation for details. There was no shortage of criticism of the purported DOJ plan among Democrats on Capitol Hill. “Instead of standing up for himself to a president who called him ‘very weak’ and ‘beleaguered,’ Attorney General Sessions has chosen to pick on minority students who are in pursuit of a college education, opportunity, and the American Dream,” said a statement by US Congressman Cedric L. Richmond (D-La. ), chairman of the Congressional Black Caucus, speaking in reference to Attorney General Jeff Sessions, who heads the DOJ. “In doing so, he’s appealing to the lowest common denominator in our country, people who wrongly believe that minority students who benefit from efforts to promote diversity and equality are ignorant, undeserving, and unqualified,” Richmond said. Not everyone, of course, was displeased to hear that the DOJ may be taking a closer look at how colleges and universities use race in admissions. Jamaal Abdul-Alim can be reached at jabdul-alim@divderseeducation.com or you can follow him on Twitter @dcwriter360.